Protect hair and prevent damage with this new generation bond-strengthening system. 250 ml bond-strengthening pre-shampoo (step 2). The 2-step process begins when you mix the Step 1 Additive with your usual mix of bleach and oxydant (8 ml per 30 g). Apply and develop as usual, then rinse off before adding a few pumps of the Step 2 Pre-Shampoo and leaving for 10 minutes. Then simply shampoo and condition as normal. 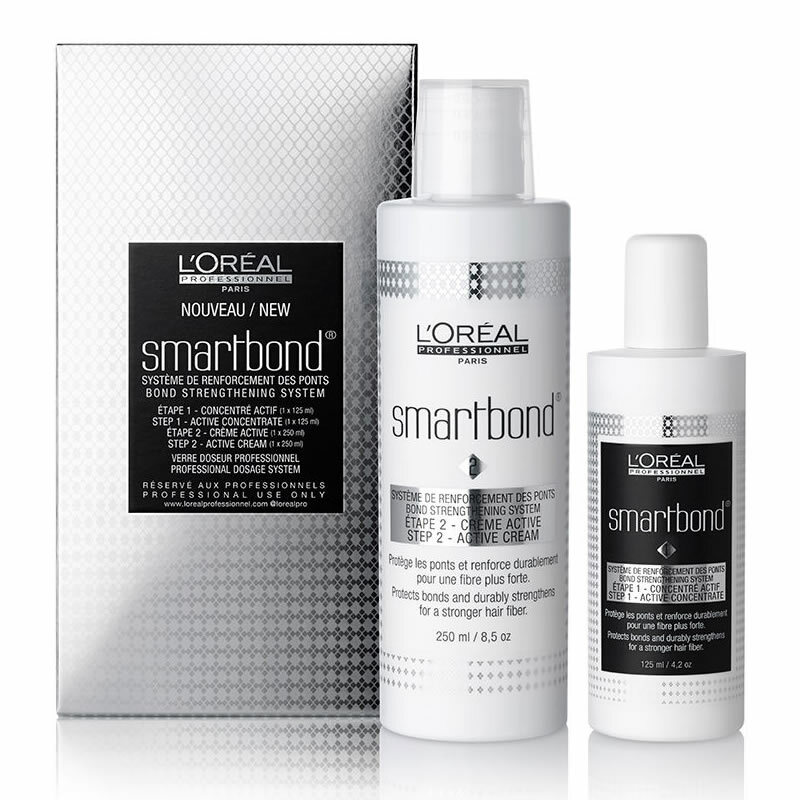 To support the in-salon service, there's also a Smartbond Conditioner for your clients to use at home to maintain their hair's fantastic condition. £76.50 (inc. VAT) Why no VAT? We're a trade wholesaler and quote our prices without VAT to help our VAT-registered customers understand the true cost of a purchase. Step 3 of the Smartbond protective strengthening system formulated to work in synergy with lightening and colour products to prevent damage to hair fibres during colouring.